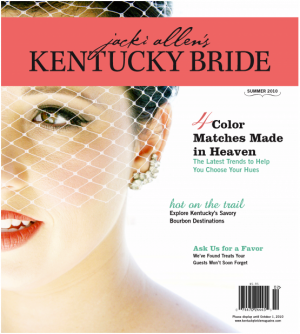 Kentucky Bride Magazine is currently featuring a wedding of mine. 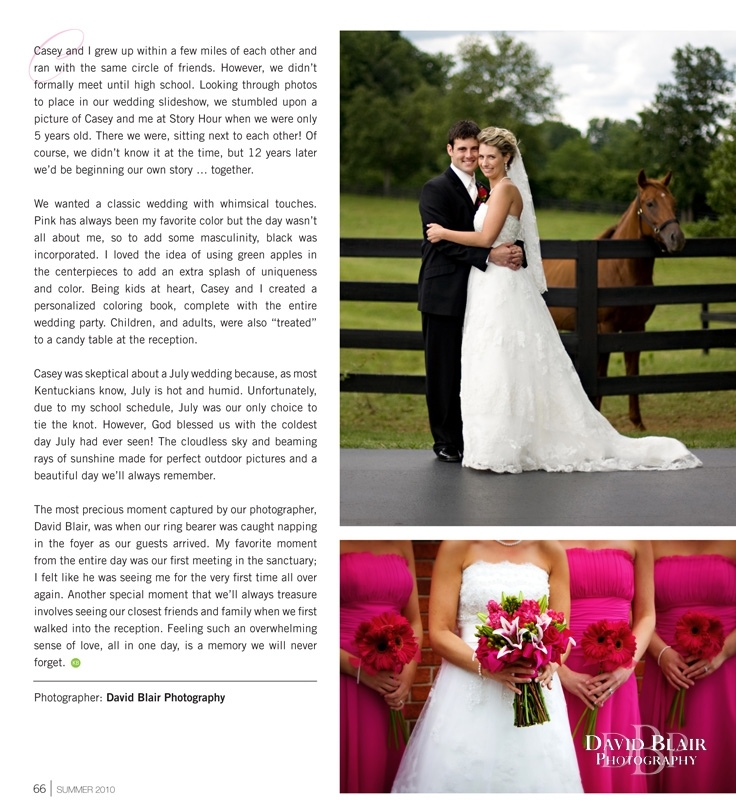 As a Kentucky wedding photographer, I am honored to have my work in one of the most classy and beautiful bridal magazines in the region. Casey and Holly were married in their hometown of Jamestown on July 18, 2009. The small town wedding pulled out all of the stops with the gentle pink accents and a perfectly hosted reception. Since Casey and Holly grew up only a few miles from each other, the wedding was a bit of a town event with a full church. Congrats again Casey and Holly! 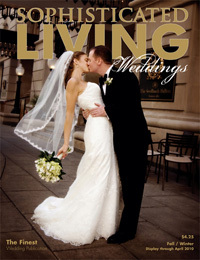 Here is the brides story, in her own words, that is featured in the Magazine. Casey and I grew-up within a few miles of each other and ran amongst the same circle of friends. However, we didn’t formally meet until high school. Looking through photos to place in our wedding slideshow, we stumbled upon a picture of Casey and me at Story Hour when we were only five years old. There we were, sitting next to each other! Of course, we didn’t know it at the time, but twelve years later we’d be beginning our own story–together. 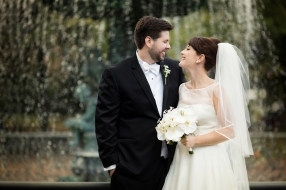 We wanted a classic wedding with whimsical touches. Pink has always been my favorite color but the day wasn’t all about me so, to add some masculinity, black was incorporated. I loved the idea of using green apples in the centerpieces to add an extra splash of uniqueness and color. Being kids-at-heart, Casey and I created a personalized coloring book, complete with the entire wedding party. Children, and adults, were “treated” to a candy table at the reception. Casey was skeptical about a July wedding because, as most Kentuckians know, July is hot and humid. Unfortunately, due to my school schedule, July was our only choice to tie the knot. However, God blessed us with the coldest day July had ever seen! The cloudless sky and beaming rays of sunshine made for perfect outdoor pictures and a beautiful day we’ll always remember. The most precious moment captured by our photographer was when our ring bearer was caught napping in the foyer as our guests arrived. Another special moment that we’ll always treasure involves seeing our closest friends and family when we first walked into the reception. Feeling such an overwhelming sense of love, all in one day, is a memory we will never forget. 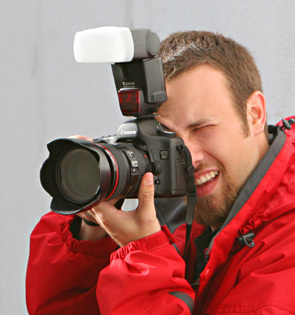 The wedding vendors were David Blair Photography, The Twisted Stem, Swan’s Landing Catering, Abell Videography, Cakes by Jeanne Douthitt, Heidy Ximenes – string quartet. Kentucky Bride Magazine also featured this full page engagement photo of mine, as well as a cake shoot I took at the Galt House.